Pleasant calming aroma, combined with perfect softness – in the purple Milde package awaits a real relaxing therapy for your senses. 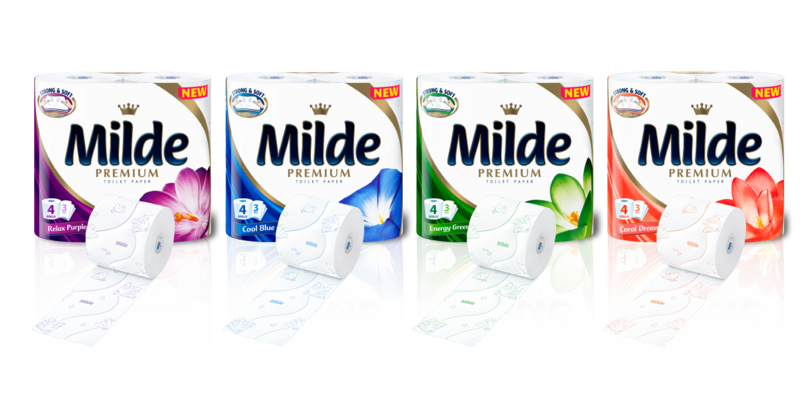 Enjoy the feeling of freshness and cleanliness, which the blue Milde package will disperse in your home. Fragrant energy for each of your days! Variety of aromas, combined in perfect harmony, which will provoke happiness. Fragrance, which will excite you. Sensual, saturated, memorable aroma will take over your home if you chose the red Milde package. Milde Ultra Soft. The perfect toilet paper now is even better!